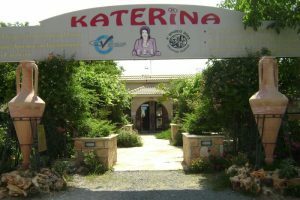 We would be delighted to welcome you at our factory and shop, located in the picturesque village of Doros, an eye-catching area, with panoramic views of the Cypriot nature, where locals and tourists from all over the world visit daily to taste and buy our products. Our factory is a great place to visit as it has a small traditionally-styled coffee shop where a drink can be enjoyed with an accompanying piece of sweet, whilst watching the sweets being made behind the glass panels of the factory. 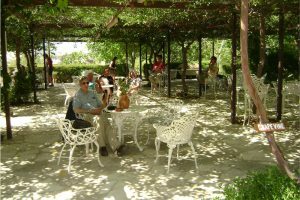 If you prefer, coffee can be enjoyed out on the verandah, which offers spectacular views towards the mountains and across the valley, or in the large front courtyard which is shaded by a canopy of grapevines and gourds in the summer months. 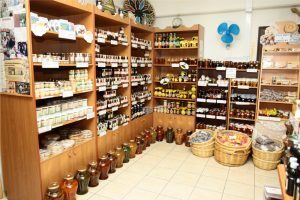 There are 2 gift shops, the first is filled with every type of spoon sweet and jam imaginable and the second is selling a range of selected Cypriot products (carob syrup and it’s byproducts, local wines, Cyprus delights, olive oil, cosmetics from olive oil, soujoukos, palouzes, homemade pottery, hand-painted gourds, souvenirs and others). Spoon sweets are a symbol of genuine Cyprus hospitality so it is our mission to make every guest feel welcome and at home.